For someone who is a big fan of the 2006 film "The Queen," and generally impressed with Queen Elizabeth II, I knew very little about the monarch herself. This audiobook popped up as recommended to me in Overdrive, so I decided to fill the big gap in my knowledge base. Bedell Smith covers the Queen's life from childhood through just about the present, with a concluding chapter that discusses the potential future of the British monarchy. Her life alone is fascinating, and Bedell Smith seems to have had great access to close friends of the Queen, all of whom spoke fondly and respectfully of the Queen's many strengths and occasional quirks. The book also discusses those surrounding the Queen in great detail - Prince Philip, her children, her mother, Princess Diana, Sarah Ferguson, and Kate Middleton. This detail is all super helpful for someone with very little background on the modern monarchy. I left this book with a much stronger sense of why Queen Elizabeth II is such an incredible woman. She's reigned longer than anyone in British history, seen the Commonwealth through decades of tumultuous change, and managed to do so with very little controversy or scandal. Even Bedell Smith's insight into how the Queen views her role - as above politics and a steward of the Commonwealth - hints at a woman stronger than most, who can put aside her personal views for the good of her nation, and rule as Queen while supporting a democratic system of government. The personal anecdotes flesh out the steadfast public persona, and, though this could be owed in part to my gaps in knowledge going in, I left with a far deeper understanding of the Queen than I could have hoped from a single book. Verdict: Affirmed. Though I unfortunately can't compare this to any other works on the Queen, I learned enough that I don't feel the need to hunt down another. 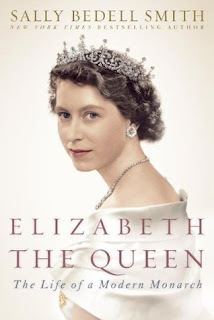 "Elizabeth the Queen: The Life of a Modern Monarch" by Sally Bedell Smith, published January 10, 2012 by Random House. Audio narration by Rosalyn Landor, published Janury 10, 2012 by Random House Audio.